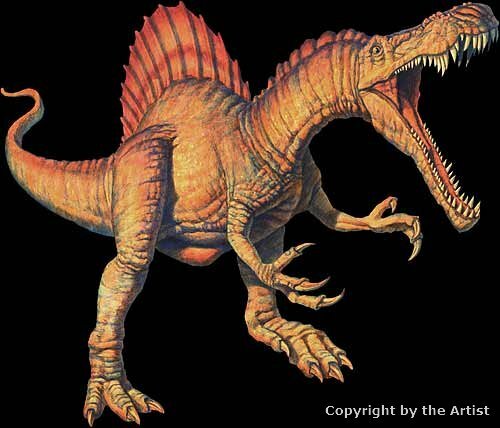 Spinosaurus is a carnivorous dinosaur that lived in what is now Northern Africa during the Cretaceous period—about 110 million years ago. 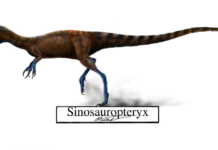 Most scientist agree that this dinosaur probably hunted both on land and in water and probably lived on a diet of both fish and small mammals. 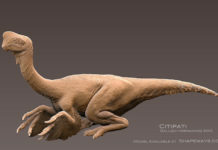 It is believed these dinosaurs floated in much the same way that modern crocodiles do; lying in wait and then using the element of surprise to hunt prey. They were first discovered in 1912 in Western Egypt by Richard Markgraf, although this original specimen was destroyed during the bombing of Munich, Germany during World War II. Since then, scientists have had to make due with studying the plaster casts of this animal. 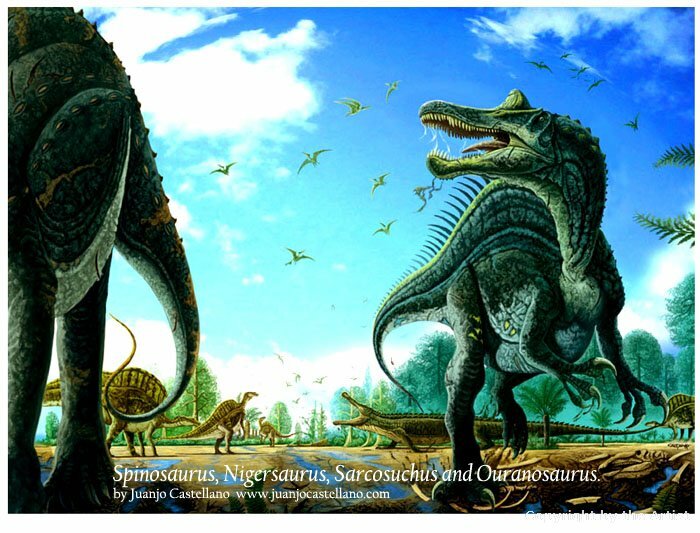 Spinosaurus is one of the biggest dinosaurs known to scientists today. It is even bigger than the T. Rex. 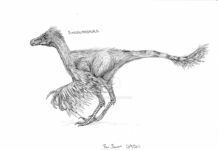 In fact, a Spinosaurus outweighs a typical T. Rex by about 1 ton and the next largest dinosaur—Gigantasauraus—by about a half of a ton. 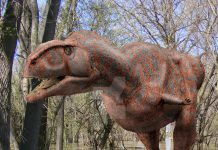 There are a lot of interesting facts surrounding this large dinosaur. 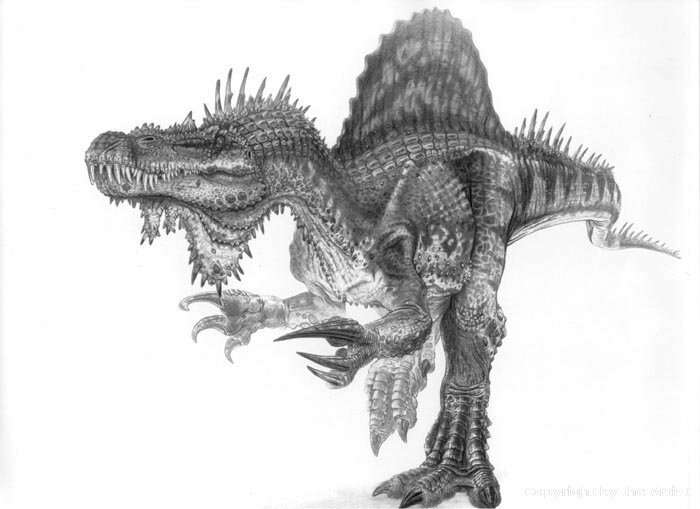 For instance, Spinosaurus was about 49 feet tall (comparable to a 5 story building), and weighed between 7-20 tons, or about the equivalent of 3 male elephants. 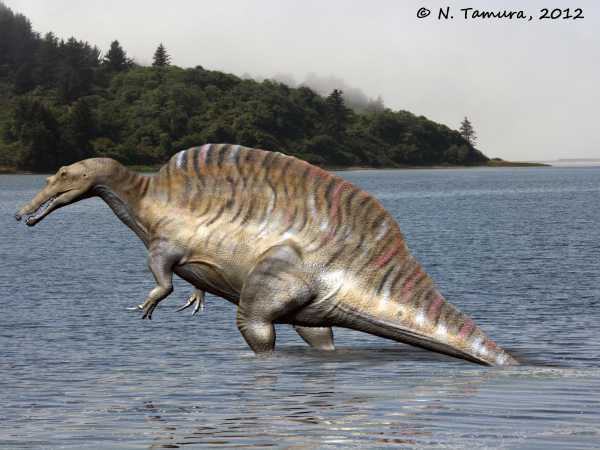 It is also one of the first dinosaurs to have been identified as the first possible “swimming dinosaur”. Another interesting fact is that the Spinosaurus has a six foot long skull that was shaped much like a modern crocodiles skull. 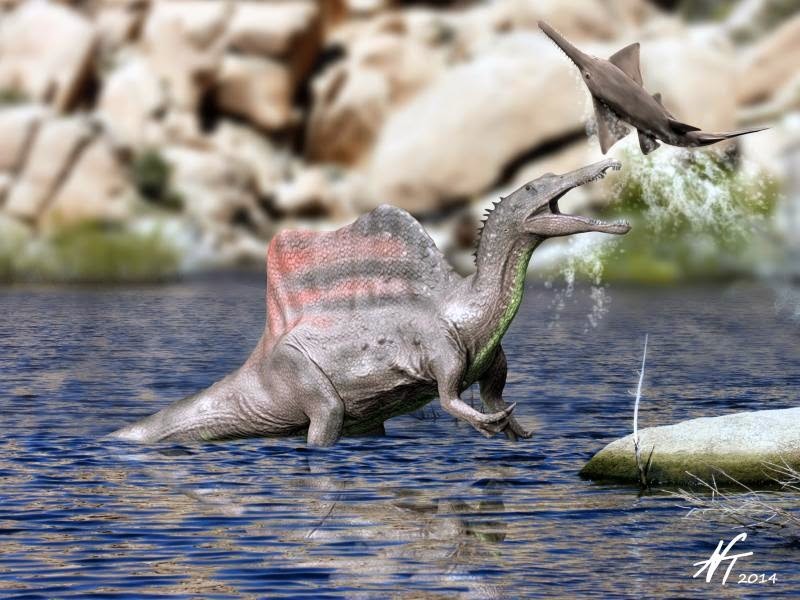 This made it easier for this dinosaur to fish. 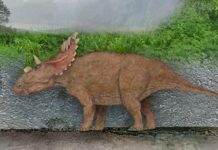 It is believed that these dinosaur’s walked on all fours when they weren’t in the water, but could also rear up on their hind legs like grizzly bears when they threatened. They had a whole lot of different types of teeth. These included canines for ripping flesh, and an assortment of conical and grinding teeth. 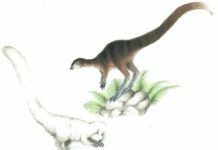 This was because of its varied diet which not only included fish but also may have included small mammals and other dinosaurs.